The second edition of the “Healthy Food, Healthy Lifestyle” workshop series has been another success. 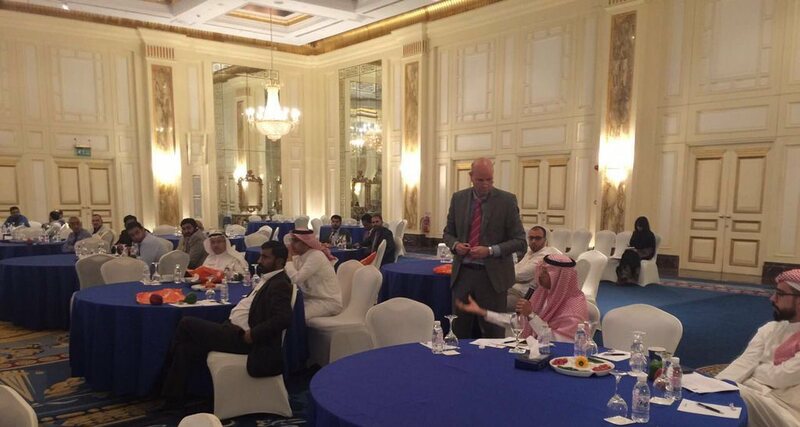 This edition was titled “Fresh Produce, your health, our future” and took place 31 May in Radisson Blu, Riyadh. Dietary and lifestyle related diseases and associated high medical bills, their negative effect on quality of life and significant economic and societal impact is a global challenge. With stunning rates of obesity, diabetes type 2 and numerous cardiovascular diseases in the Gulf region, The Embassy of the Kingdom of the Netherlands in Riyadh has developed an initiative to contribute to Gulf country governments and industry for its citizens to increase awareness, embrace healthier habits and a more nutritious and balanced diet. These strategy, initiative and campaign support oriented series of workshops and events are focussed on Saudi Arabia, Oman, UAE, Kuwait and other Gulf States. Just as last year’s first event, this workshop was organised together with Saudi Greenhouses Management & Agri Marketing Co., formerly known as Al-Rasheed Greenhouses, a leading agricultural production and marketing company in the Middle East North Africa region. Fruits and Vegetables are key in a healthy diet, yet in many countries 9 out of 10 do not reach the WHO daily recommended intake of 200 gr of vegetables and 200 grams of fruit. Unhealthy eating habits, resulting from a fast-food, fast-lifestyle way of living is more and more affecting the Gulf region and its young population, with tremendous medical bills that will have to be paid. The question is ‘How can we prevent, rather than cure?’. The workshop “Fresh Produce, your health, our future” was opened by Eng. Mohamed Al-Rasheed, Chairman of Saudi Greenhouses Management & Agri Marketing Co. and Chairman of the Agricultural Committee of the Riyadh Chamber for Commerce and Industry, followed by a most interesting speech by Dr. Hans van der Beek, Agricultural Counsellor of the Netherlands Embassy in Riyadh, on the impact of increasing our low fresh produce consumption to recommended standards. Dr. Van der Beek fired some challenging statements on for instance the willingness to invest in improving health and lifestyle, and whether the focus should be on increasing production rather than the reduction of waste in fruit and vegetables. All participants were urged to agree or disagree with the statements and justify accordingly. Mr. Sérgio Nicolau, M.Sc., General Manager of Saudi Greenhouses Management & Agri Marketing Co. elaborated on the challenge to not only build the need for fresh produce, but also the desire; “If we would have to double our consumption of ice cream for health reasons, we would not have any problems in achieving same”, he cheerfully mentioned. Co-organiser and strategic marketing associate of Saudi Greenhouses Management & Agri Marketing Co., Mr. Maarten Smit, M.Sc., spoke about the importance of having a holistic approach towards significantly increasing both consumption and sustainable production of fruit and vegetables, whilst reducing the enormous amounts of food waste generated by the supply chains and consumers alike. Smit’s highly interactive contribution included a brainstorming session to determine underlying reasons behind the low fruit and vegetable consumption. The healthy lunch with indications of the amount of calories per dish, motivated the participants from different ministries, large retail chains, farming enterprises and other government institutions and industry leaders to be more conscious in filling their plates. The afternoon program involved group exercises, where different decision makers of both industry and government bowed their heads on themes, such as “What approach and measures should Saudi Arabia take on combatting food waste in fresh produce” and “How can we make the fresh produce shopping experience more fun, responsible, sustainable and health conscious?”. It was concluded that government, industry and other stakeholders should work closely together on this daunting task involving Public Health, Education and Agriculture related components. The Healthy Food, Healthy Lifestyle initiative is most willing to assist therein.